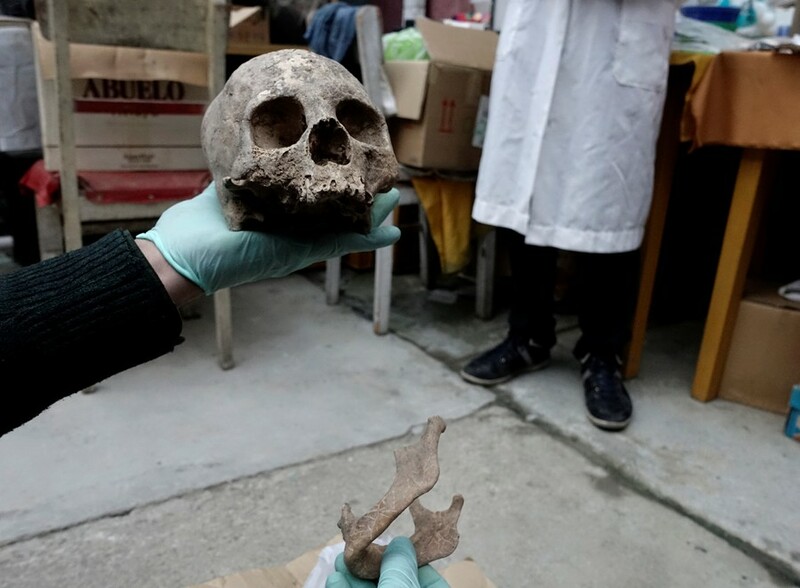 Bolivian archaeologists are celebrating an ‘unprecedented’ new haul of ancient Inca remains and artifacts, including human skulls and metal tools found buried in a quarry 12 miles from La Paz. 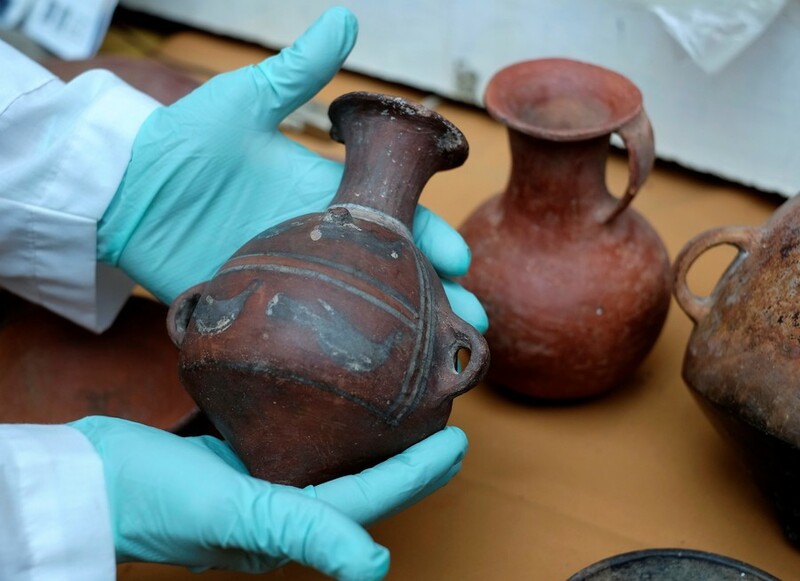 The discovery was made outside the capital earlier this month, with archaeology professor Jedu Sagarnaga, from the Universidad Mayor de San Andres, confirming that the remains date back to the era of the Inca civilisation. “The vessels are whole and are Incan,” Sagarnaga told the Associated Press. Growing out of modern-day Peru, the ancient indigenous people built up a highly sophisticated empire, which included large swathes of the South American west continent. Inca tribes were later greatly impacted by the Spanish conquistadors, with settlements weakened by disease brought by European invaders. Located near the town of Viacha, which sits near the border of Peru, the human bones and Inca artifacts were contained in limestone graves from the 15th century. 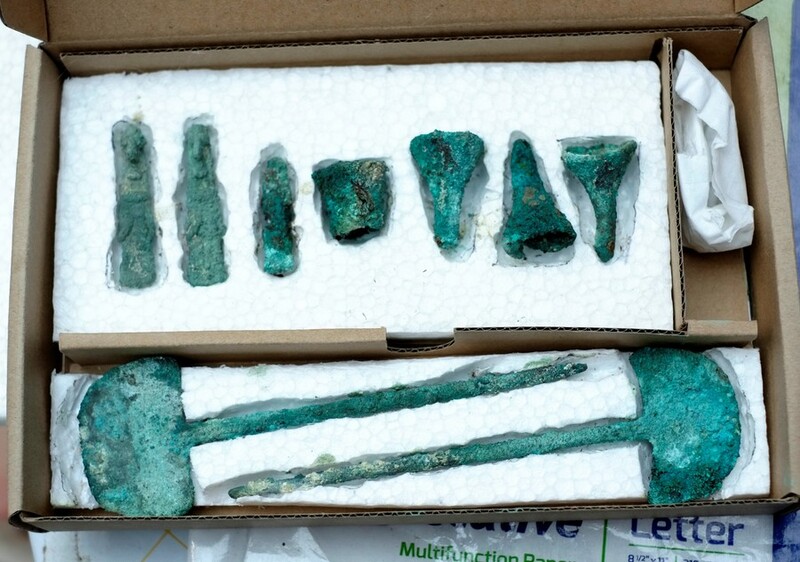 Pictures of the buried treasures reveal engraved pots dating back 500 years, as well as an elongated skull. It’s thought some of the pieces belong to the Pacajes tribe, a group of people taken over by the Incas in the 15th century. The discovery has been labelled “unprecedented” by Bolivian Minister of Culture Wilma Alanoca.